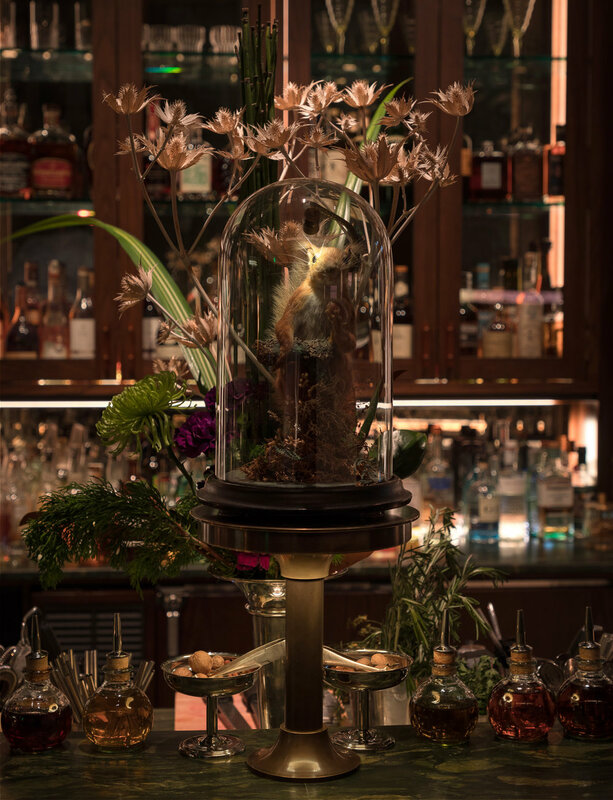 Loosely inspired by the prohibition-era speakeasy, Deep Dive takes its aesthetic inspiration from the worlds of Charles Darwin and Jules Verne and captures the human spirit of curiosity and imagination. 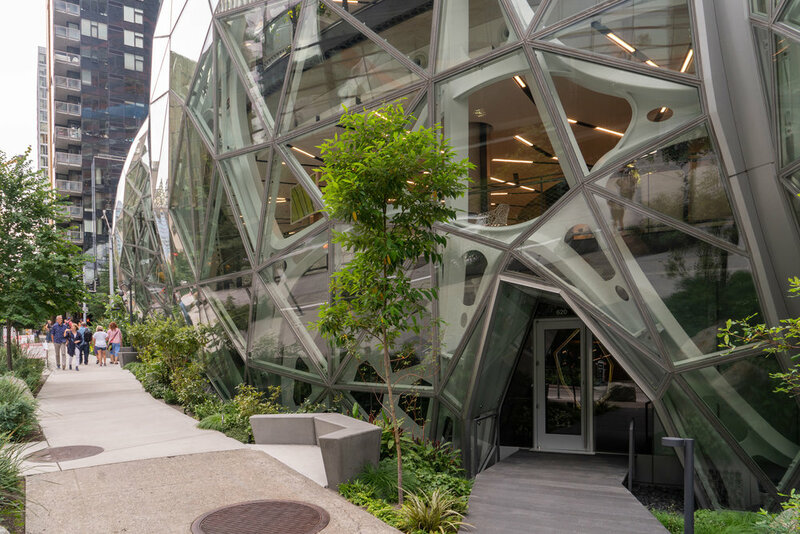 Accessed via a nondescript door tucked discretely between the two Amazon Spheres, the experience unfolds as a journey. 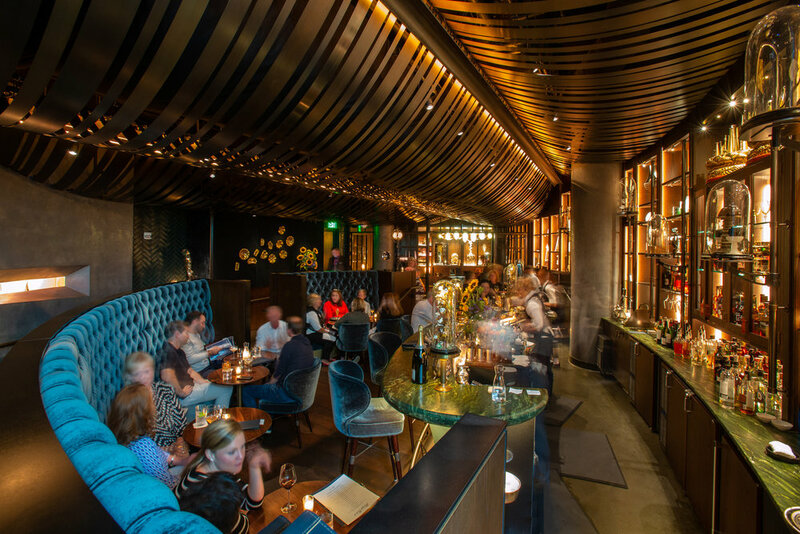 Deep Dive is one of three venues created in retail spaces located between and below the Spheres—spaces created without specific programs identified. 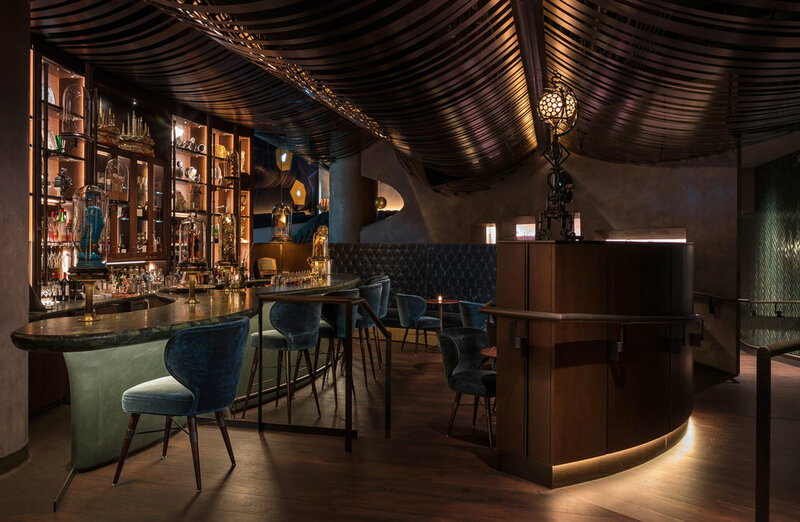 Graham Baba was asked to prepare conceptual ideation for these three spaces – Experiential and Programmatic function. City regulations stipulated that each of the three spaces are open to the public; the challenge was how to activate them. Initial concepts conceived of the spaces in terms of their emotional, intellectual, and sensory potential, rather than by function. Following approval of the experiential concept, functional aspects were identified as a bar, a multi-purpose exhibition space, and a restaurant. Deep Dive is the manifestation of the bar space. The design of Deep Dive embraces its inherent spatial limitations: small scale, varying ceiling heights, drastic elevation change, and complicated shape. Inside, a gently sloping ramp brings guests into a sophisticated environment eschewing minimalism, instead favoring a rich array of materials and objects. 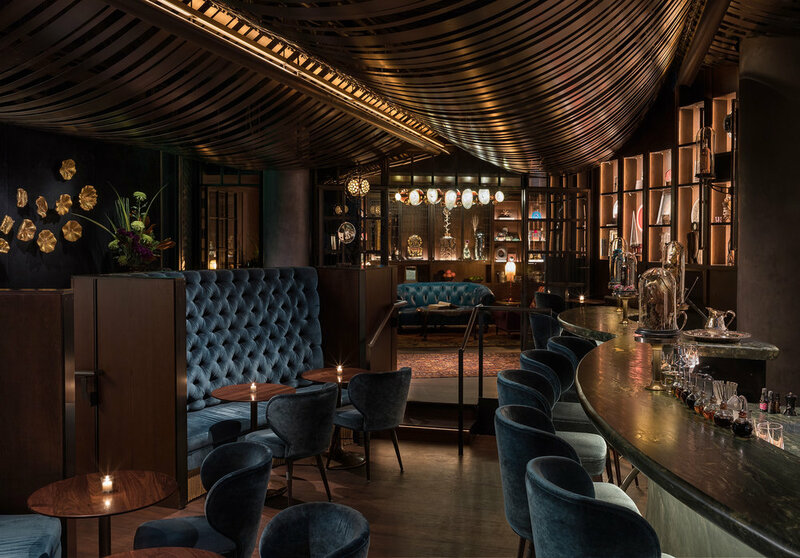 The floor plan mirrors the complex space with an arched, tufted velvet banquette and gently curved bar. 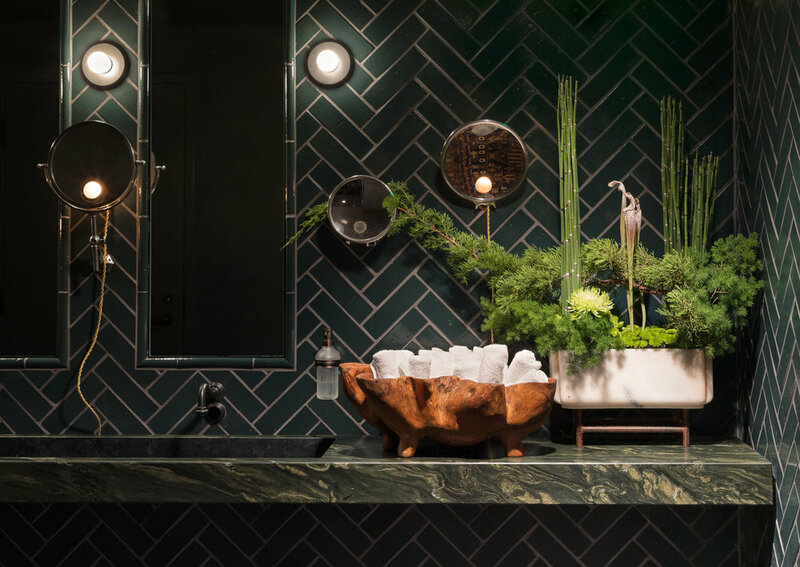 The intimate 1,677-square-foot space is wrapped in wood, punctuated by shelves and niches supporting an array of natural objects and artifacts. 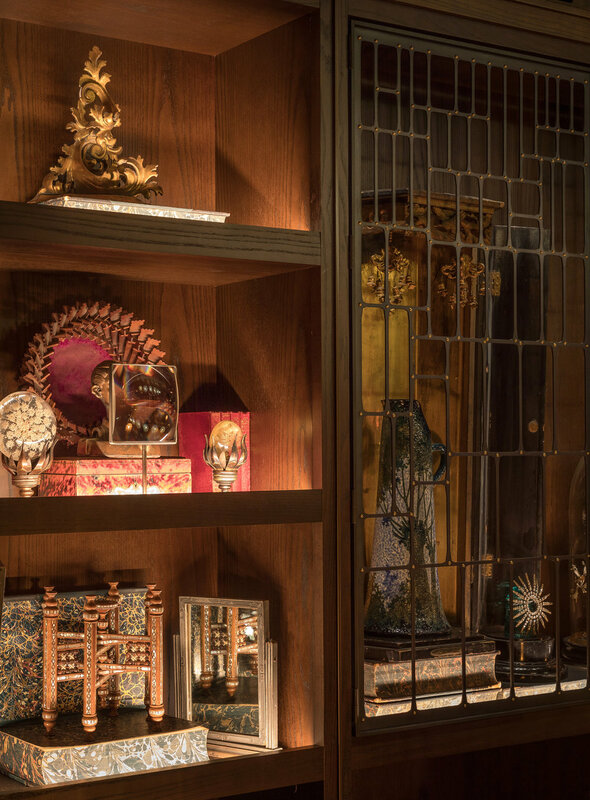 The space is transformed into a veritable cabinet of curiosities. The setting unfolds as a series of vignettes; entry ramp, bar stage, and library. Overhead, a custom-designed array of draped steel “ribbons” adds drama to the space and shrouds the existing mechanical equipment which moves through the space. 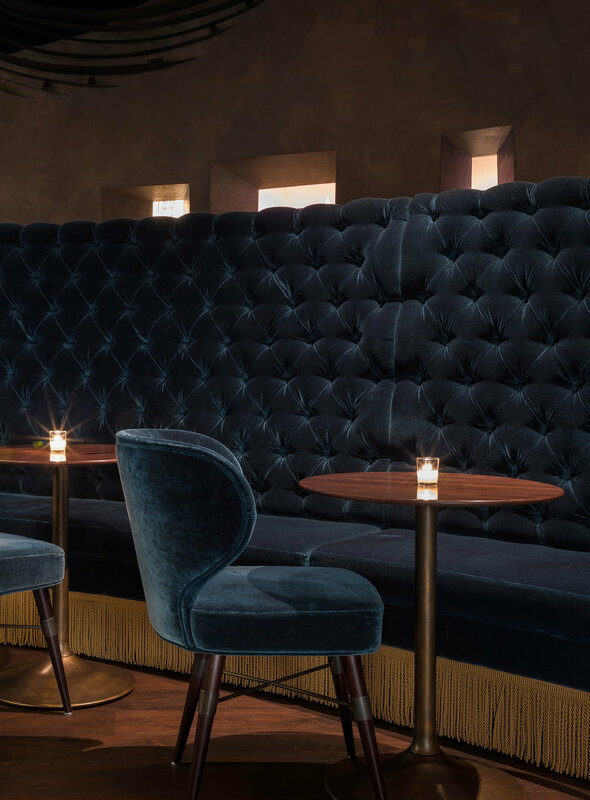 Velvet-covered occasional seating, small cocktail tables, and antique furnishings finish the interior. 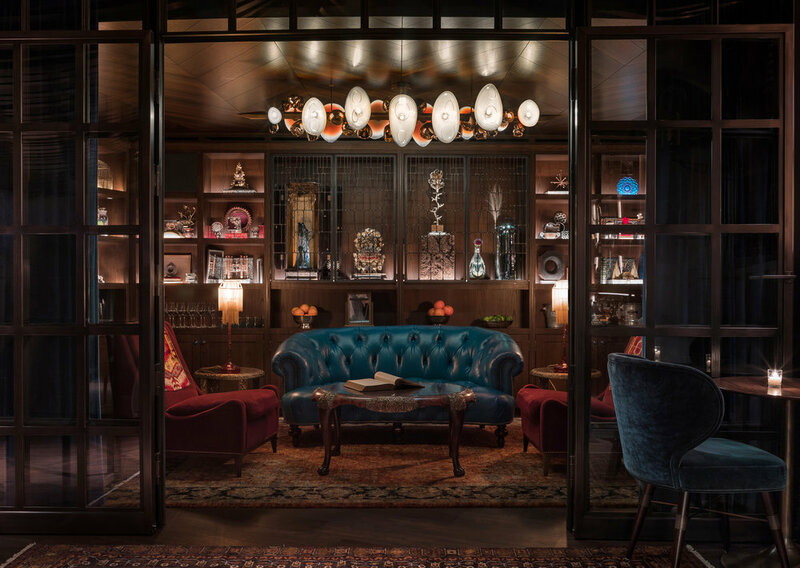 The library, separated from the primary bar by a steel-and-glass partition wall and furnished with an eclectic mix of antiques, provides a private space for intimate gatherings. 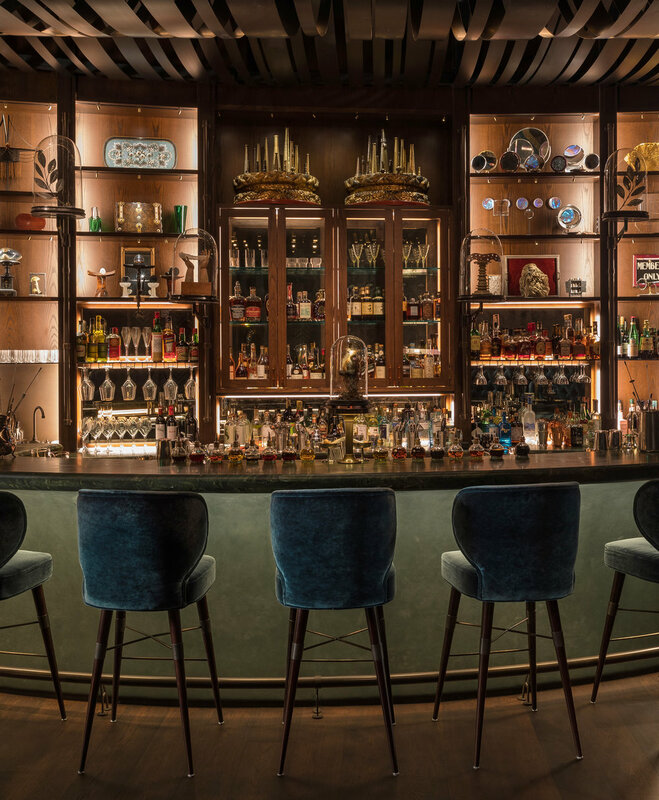 Vintage carpets, patinaed metals, luxurious fabrics, dark woods (stained ash, oak, and walnut), custom metalwork handrails, and decorative panels collaborate the immersive experience.